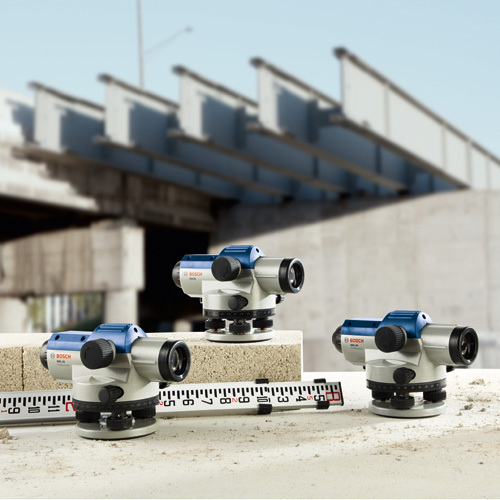 The Bosch GOL 32CK automatic optical level kit features a self-leveling compensator, both horizontal/vertical cross hairs and Stadia lines, 32x magnification lens and large aperture for clear image. Range: 400 Ft., accuracy: up to 1/16 In. 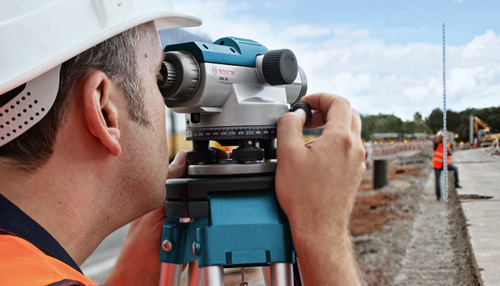 at 100 Ft., includes: hard case, lens cap, plumb bob, adjustment tools, aluminum tripod, aluminum leveling rod.